From the Canadian prairies and Australian hinterland to Ethiopia and Georgia, thousands of Punjabi farmers are ploughing their own furrow in faraway lands. Published earlier in Hindu Business Line, this here is a travel story altogether different. There is something about the Punjabi farmer and land. He seemingly never has enough of it. Augmenting holdings is coded in his DNA, as are enterprise and assiduousness. It is no surprise, therefore, that he has not allowed mere geography to come in his way of acquiring more. As land prices skyrocket in his home state, he is trading it for hundreds of acres elsewhere. An instinct for risk-taking, coupled with common sense and ingenuity, has spurred him to own and till massive farmlands in foreign locales. The Canadian prairie, Californian ranches and Australian hinterland have, for decades, yielded rich harvests under the determined toiling of legions of turbaned farmers. 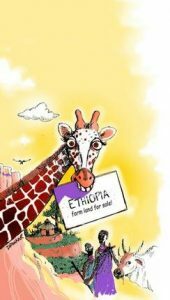 Some six years ago, Ethiopian soil beckoned the adventurous Punjabi farmer, even though outright ownership was not on offer. After all, fertile swathes were available on lease at unbelievably low rates (₹500 per acre!). Additionally, a supportive government-in-residence provided a safe and red-tape-free access to the inexpensive land and labour, spurring many to invest time and dime in this North African nation. Upendra Kamra, a progressive farmer from Jalalabad, wasted no time leasing 1,500 acres in Bahir Dar, in northwest Ethiopia, after hearing about it at a social gathering in his home-town. “The fertiliser-free black soil was most conducive for mixed farming, particularly for growing vegetables. Besides, the place has an international airport, making to-and-from travel easier.” A pre-existing distillation unit at the farm was an added charm, and Kamra had for years cultivated aromatic plants for oil extraction. Though he discontinued his venture recently — “Remote management was becoming increasingly difficult and unwieldy” — he believes that agriculture in Ethiopia, Zimbabawe and Mozambique could well be the Punjabi farmer’s holy grail. Immigration consultants and travel agents, however, soon had another idea coming — Georgia, the erstwhile Soviet republic sandwiched between the Black Sea and the Caucasus Mountains. Vast tracts of fertile vineyards and mostly flat farmland, once collectively administered by the former Soviet-era government, now lay fallow. Broke and at a loss, local farmers were content with self-sustenance. This knowledge, coupled with the promise of visa-on-arrival and registered ownership of boundless hectares at throwaway prices (₹20,000 per acre) was music to the hard-working Punjabi’s ears. Besides, it was the shortest route to realising their long-held European dream. Unscrupulous brokers, too, swooped down. Consequently, early 2012 found Tbilisi, the Georgian capital, teeming with new arrivals sporting colourful turbans, a headgear that was hitherto unfamiliar in these parts. Soon, residents of remotely located Caucasian villages such as Sonori, over 100 km from the capital, began acquiring new neighbours. In less than two years, the number of arrivals swelled to 2,000. “I’m not in the least surprised at this kind of exodus,” declares writer Khushwant Singh (not to be confused with the other Khushwant Singh), a third-generation citrus farmer from Hoshiarpur. His family, however, has mostly stayed put, aside from a tentative exploration of the Australian outback in the 1980s. As for the reasons for the exodus of Punjab farmers, he says, “With the Land Ceiling Act in place, along with diminishing returns, lack of insurance, exploitation by middlemen, and the absence of a coherent government model, the farmer has started seeing his land as a real-estate block rather than an agricultural one.” He’s not far off the mark. The prevailing circumstances in Punjab — marked by shrinking assets, rising costs, opportunity deficit, widespread drug addiction, and suicides — have heightened the sense of despair, further galvanising the quest for a fresh start elsewhere. Jagjit Singh Josal, a 26-year-old farmer from Gazipur village near Jalandhar, was amongthe early movers. His family has been long engaged in potato cultivation on its 150-acre farm. A two-month stay in Tbilisi was enough to convince Josal to make the switch. To start with, Georgia ranked 17th worldwide in ease of doing business and its facilitation centres helped register a mandated company for as little as $110. Facilitated solely on the basis of valid passports, the process was completed within days and the company allowed to dabble in more than 100 different businesses. Cost of agricultural land ranged from an irresistible ₹60,000 to ₹1 lakh an acre, depending on location. The trick was to not be tricked by certain medical students-turned-agents passing off infertile chunks as otherwise. 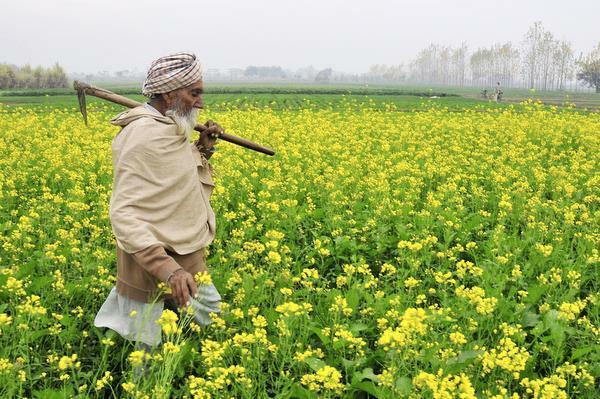 Many a Punjabi farmer was duped into buying patches that oozed crude oil, a cultivator’s bane. A close look also revealed an unforeseen high operating cost in the absence of adequate back-up. Bred on subsidies back home, the Punjab farmers struggled to meet the cost requirements of property tax, commercial electricity, highly priced seeds, and hiring of equipment from cooperative societies in the new country. The complete absence of a market was another revelation, requiring produce to be ferried from one village to another for sale. The recommended herbicides, weedicides and fertilisers were not very effective, leading to less-than-satisfactory yield. Still, the newcomers persisted, overcoming the challenges of adjusting to a new culture, language and food habits. Most of them shared apartments and took turns cooking. Until they managed to acquire a working knowledge of the Georgian language Kartuli, they relied on interpreters to fill in the gaps. In 2013, Josal’s decision to return home for good coincided with the Georgian government’s refusal to renew visas and a review of its open-door policy. The sudden influx of Indian, Chinese, Iranian, Russian and Turkish companies had sparked off widespread resentment among the locals. Farmers’ unions demonstrated against the government’s push for foreign investment in the agro sector instead of propping up the Georgian farmer. The anger finally culminated in a complete ban on the sale of agriculture land to non-citizens in mid-2014. Punjab farmers found themselves cutting their losses as quickly as possible and exiting after either selling or leasing out their acreage. “At last count, there are less than 150 of us,” 24-year-old Amarinder Singh tells me over a long-distance call from the popular Georgian seaside resort of Batumi. The owner of 25 acres in Punjab’s Kapurthala district, the young Singh had made Tbilisi home since 2012 after acquiring a 40-hectare farm in Sonori. The initial killing he made by growing vegetables — onion, garlic, potato — was overturned by huge losses in maize cultivation. Now, like his remaining peers in Georgia, he focuses entirely on wheat even though it takes longer to harvest due to snow. “The crop is totally weather-dependent as irrigation is non-existent. Rainfall and snow ensure a robust bounty.” Having waited out the adversities of the last few years, he is today benefiting from the political stability and well-defined policies of the current government. The visa regime was relaxed again in 2015, but the ban on sale of agricultural land to foreigners continues. And while a formal market is still missing, flour mills and poultry farms are ready buyers for his wheat. With the Georgian economy looking up, and its banking sector offering easy loans, many of the migrant farmers are diversifying into real estate. Singh, on his part, has tentatively ventured into tourism, which is witnessing a boom of late. He rents out two cabs to self-driving tourists travelling around Tbilisi, Batumi and Kutaisi. If time permits, he is happy to drive them on request. He likes to keep himself busy to overcome his homesickness. “Jee lagiya rehnda ai (I keep myself happy, so I don’t miss home that much),” his wistful voice reaches me over the phone. Apart from his family in Karhal Nau Abad — his pind (village) — he yearns most for saag (mustard greens) and makki di roti (cornflour chappati). Yet, he does not deter others from chasing their vilayait de supne (foreign dreams), so “long as they do their homework well and see through dishonest brokers”. His sentiments are echoed as succinctly by Gen CS Panag. At 75, this sprightly retired soldier from Fatehgarh Sahib has made many an exploratory foray into Georgia, and has encouraged others to follow suit. Despite dampeners in the form of curbs recently imposed by the Georgian lawmakers, he insists, “It’s still a nation with zero tolerance to corruption, a system in place that actually works smoothly, and is crime-free.” He hopes, nay urges the Punjab government to marry an increasingly underutilised skill at home with the unrealised potential in Georgia to forge a happily-ever-after union. “And… the ladies are lovely,” he chuckles, even as his wife dimples prettily at him in mock indignation. “I’ll be joining him on his next trip,” she says, showing me to the door of their comfortable Chandigarh home. Clearly, you can take the man out of Punjab, but not Punjab out of the man. Your style of writing remains as fecund as the lands a Punjabi craves. Enjoyed reading after a long gap!